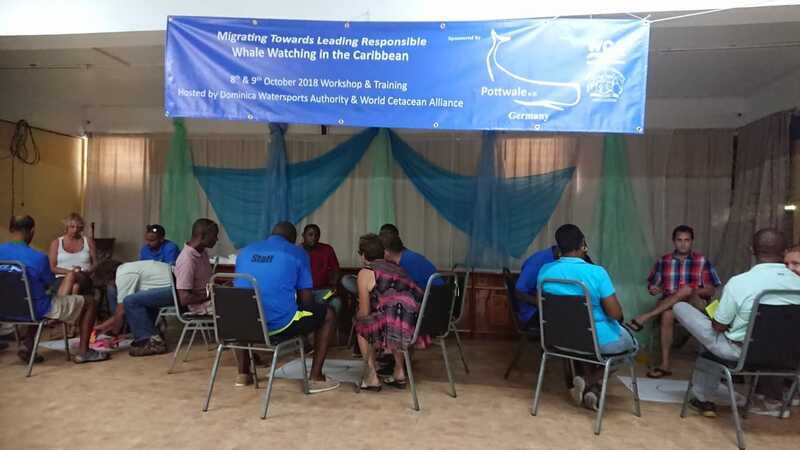 Last month, the WCA ran a Responsible Whale Watching workshop in Dominica together with the Dominica Watersports Association and one of our Partners from the area, Pottwale e.V. 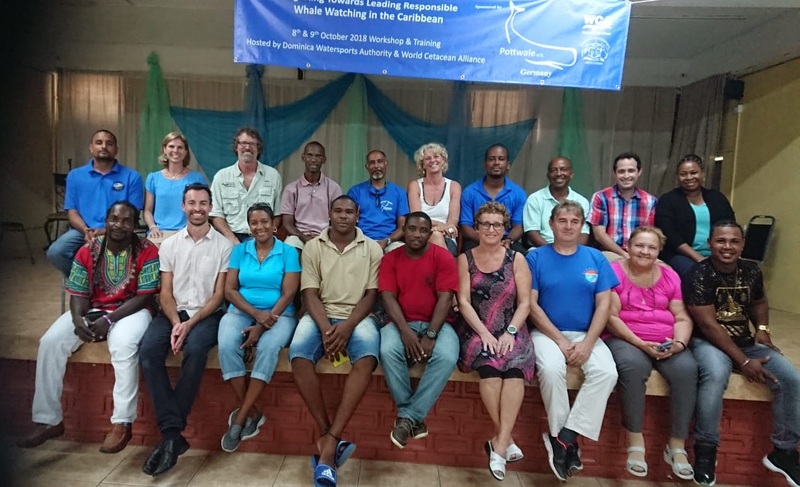 The workshop focused on looking at how whale watching is changing around the world and agreeing to a vision for the future of whale watching in Dominica that will ensure its long-term sustainability. In attendance from WCA was its CEO, Dylan Walker , as well as Partners Cet Law and Conscious Breath Adventures. Of the workshop Dylan says “By moving forward together, involving government, NGO’s, scientist and of course the industry itself, I think there is great potential for Dominica to be a leader in the Caribbean in terms of responsible and sustainable whale watching tourism, which is good for the economy, it’s good to bring people in who believe in tourism. The wider travel industry is becoming increasingly interested in animal welfare which is good news, but there was also a lot of talk in the workshop about how we can engage with local communities and how we get people here in Dominica to be more aware of these incredible animals and this fantastic area of ocean, which is all part of Dominica and that’s really exciting”. Other areas looked at during the two day event were how to build on the work performed there in the previous years including a review of the guidelines the whale watching community have previously agreed, and assessing mechanisms for further implementation. Shane Gero from the Dominica Sperm Whale Project says “We have had the unique opportunity to follow the lives of sperm whales over a long period of time which has built these really engaging stories about families living in the ocean, but those families live next to us and many people every year want to come and not only see, but meet these whales. Here in Dominica there is the opportunity to do that because of the research that we’ve done. In doing so we have built relationships with these animals and we have a burden of responsibility to ensure that people can not only meet and learn about them but also protect them”. The delegates also looked at other key areas for ensuring responsible whale watching practices such as identifying practical training needs, marketing and promotion and working with the steering committee to transform Dominica as a leader in responsible whale watching tourism in the region.